During New York Fashion Week designer Misha Nonoo debuted her Fall 2013 collection at the High Line Room at the Standard Hotel. Upon walking into the room you knew exactly where this collection was going with the fur Russian style hats and military style jackets. 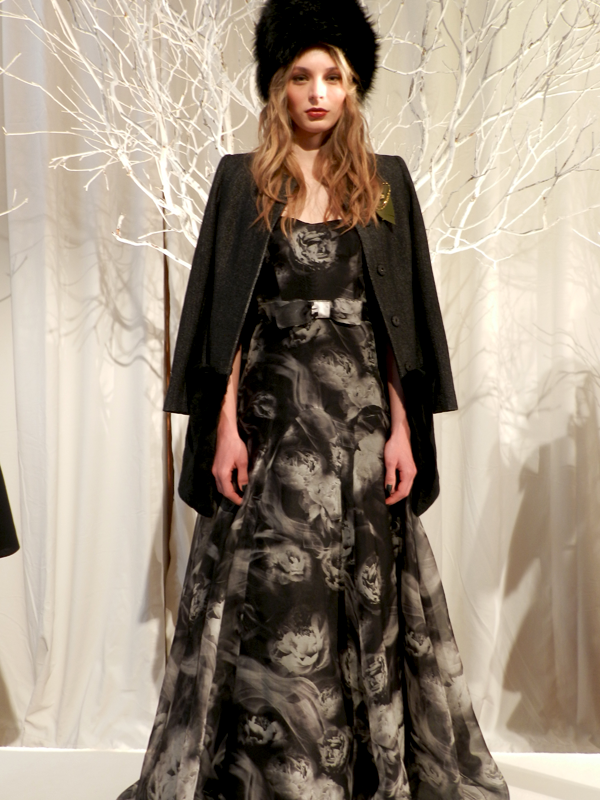 Misha with ease mixed in feminine romance with sophistication while still keeping the collection youthful. This collection by far was one of my favorite collections that I saw during NYFW in February. It was one that stood out in my mind, which means something since fashion week always feels like a blur and everything starts to mash together. The two things that stood out to me were the hats and the tailored military style jackets. Right off the bat she had me with the fur hats. I've never been a fan of fur hats until I saw this collection...could possibly be because I've never seen them done so right. Then the military style jackets. When it comes to fall collections, I'm always drawn to coats and jackets, and military style is my favorite. Every winter coat I have is a military style. It's something classic and chic. 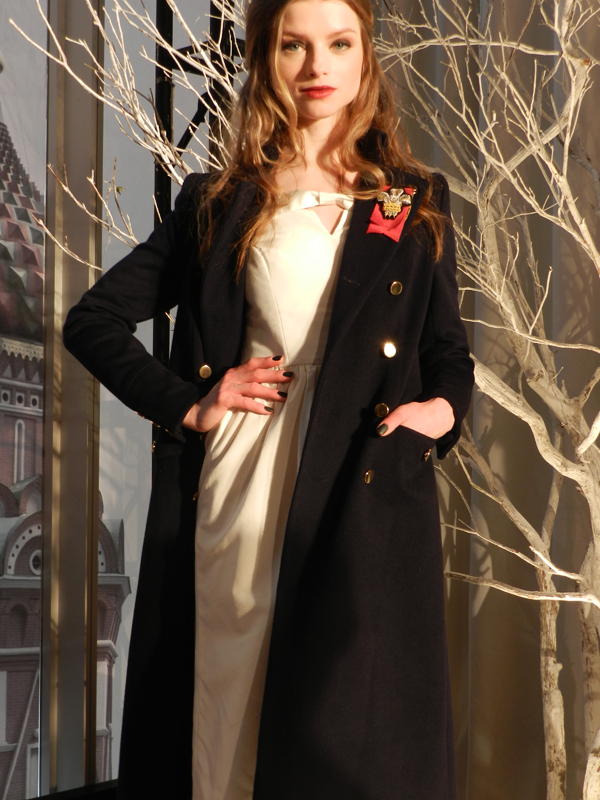 Her tailoring is impecable, within the coats you can see her British style. Then what got me were her gowns. The long flowing monochrome gown was my favorite. The little white gown with the little cut out in the front with a bow detail was the perfect little dress for a unconventional bride. 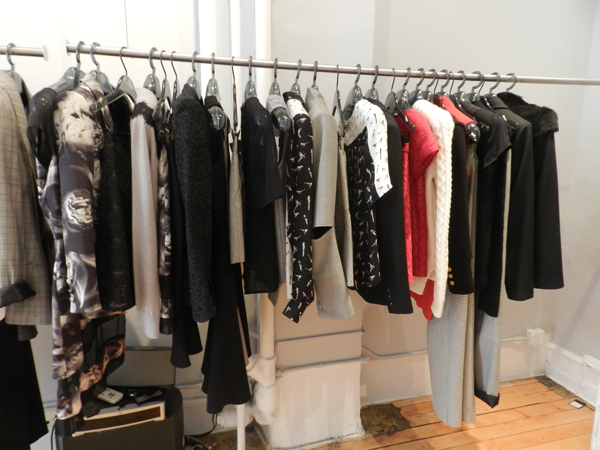 Last week I was invited to the press preview at the Nonoo's showroom...man do I love her stuff. It's one thing to see it on the models but it's another to get up close and personal. To touch them, feel them, and well try things on. Most importantly its a great time to get to know more about the designer. 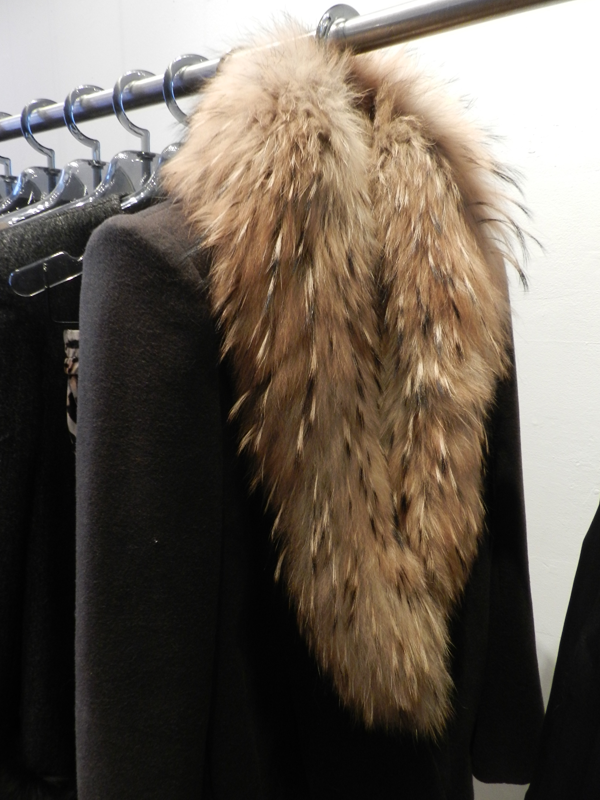 I really wish this fur hat "accidentally" made it's way out of the showroom withe me! Anyway, it's really no surprise that Nonoo is increasingly becoming more known, with celebrities wearing the line and top fashion bloggers, like Kelly Framel of The Glamourai, working and wearing Misha's pieces. I suspect that Nonoo's name will be well known within the fashion world and outside as well. I had never heard of this brand but I am loving this collection! That midi skirt with the sheer panels is everything! And the Russian hats are fabulous! Warm + fashionable! I needed that during NYFW in Feb! Love it! Definitely checking out more about this brand!